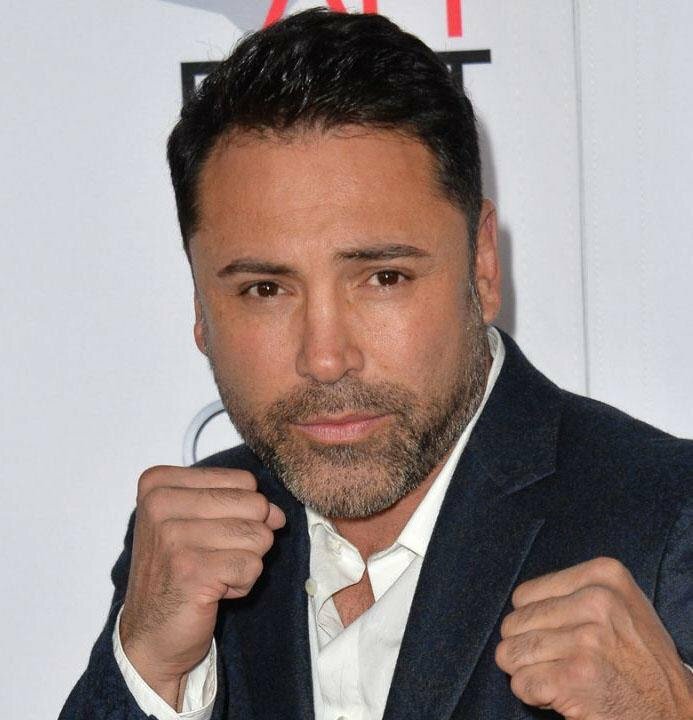 Golden Boy Promotions is excited to announce that Chairman and CEO, Oscar De La Hoya, has assembled an all-star broadcast team for the brand-new Golden Boy Fight Night series on Facebook Watch. The broadcast team will feature Todd Grisham as its blow-by-blow commentator, with celebrity entertainer Mario Lopez serving to drive color commentary and boxing analysis. The two-man booth will be supported by the show’s social media reporter Rosci Diaz. Diaz will provide fighter and celebrity interviews as well as updates from Facebook and Instagram fans via a fully integrated touchscreen monitor. De La Hoya serves as the Executive Producer for this new and innovative series and plans to deliver a product with global appeal. The first fight will take place at Avalon Hollywood and actors, sports figures and major influencers will be in attendance. De La Hoya envisions an intimate club atmosphere, featuring eclectic music curated by DJ Susie de Los Santos, a renowned DJ who has toured across the world and has made several television appearances. Jeremiah Gallegos will be the night’s ring announcer after winning Golden Boy’s Next Gen Ring Announcer contest. Todd Grisham is an experienced combat sports commentator who spent six years working at ESPN in a variety of roles including hosting “SportsCenter,” “MMA Live,” and “Friday Night Fights.” Prior to joining ESPN in 2011, Grisham worked as a professional wrestling commentator for World Wrestling Entertainment (WWE). During his tenure with the WWE, he worked as the play-by-play commentator for Smackdown and then WWE NXT. Grisham also served as the play-by-play commentator for the ECW brand and won the 2008 Slammy Award for Announce Team of the Year. In 2007, Grisham was named the host for Fox Soccer Channel’s Major League Soccer broadcasts, working alongside Christopher Sullivan for pre-game and post-game coverage of the network’s Saturday night broadcasts until 2010. His first professional job in the television industry was with KTVO of Ottumwa, Iowa, where he worked for a year and a half. He was a sportscaster for KOLD-TV Tucson for approximately five years before moving to the WWE as an announcer. Mario Lopez is the consummate entertainer. He is the host of the Emmy Award winning show “Extra,” and the national iHeart radio programs “On with Mario Lopez” and “iHeartRadio Countdown with MarioLopez.” Lopez is a constant presence on the pop culture scene with a legion of fans across the board. Actor, NYT Best Selling author, producer and host, Lopez’s prolific career has made him one of the most sought-after personalities in entertainment today. Some of Lopez’s acting credits include Jane the Virgin, Nip/Tuck and Saved by the Bell, among many others. In 2008, Mario Lopez made his Broadway debut as Zach in the revival of A Chorus Line where he met his wife Courtney. Mario and Courtney have two adorable kids, Gia and Dominic and two dogs, Julio and Juanita. As the former co-host of BET’s ultra-popular mega music show, 106 & Park, Rocsi Diaz interviewed everyone from Lady Gaga to Eminem. As a co-host and daily correspondent on CBS’s Entertainment Tonight, Rocsi was known for setting the tone for what’s hot in music, movies and entertainment. She reached 85 million homes worldwide during her time with 106 & Park, and has since gone to host MTV’s Dating Naked, and Hollywood Today Live. With a massive social media presence, Rocsi reaches millions of followers across all platforms. Currently, she can be seen co-hosting People TV’s Chatter. Rojas vs. Diaz Jr. is a 12-round fight for the WBA Featherweight World Championship presented by Golden Boy Promotions in association with Universal Promotions. The event is sponsored by Tecate,”THE OFFICIAL BEER OF BOXING,” and Hennessy, “Never Stop, Never Settle.” The fights will take place Saturday, August 11, 2018 at Avalon Hollywood. Doors to the event open at 4:00 p.m., and the first fight begins at 5:00 p.m. The action will be streamed live on Facebook Watch in the U.S. and globally on the Golden Boy Fight Night Facebook Page beginning at 9:00 p.m. ET/6:00 p.m. PT. Fans can catch all the fights by following the Golden Boy Fight Night Page.